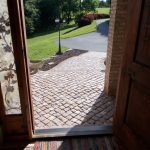 Home » What are Cobblestones? In ages past, the need for improved roads, especially on the trade routes led to the use of cobblestone as an important upgrade of the crude byways of the time. Getting stuck in the mud, or suffering the ruts and dust of the unimproved dirt roads of those times was a common difficulty. The shortcomings of those ancient paths needed to be overcome to enhance man’s ability to transport himself and his wares. The first cobblestones were typically smooth rounded stones formed in creeks and rivers that were gathered up for the first “paved” roads. These river and creek cobblestone roads were born of economic and practical necessity. Their humble beginnings were the first hard surface roads and one of the first steps by man to make substantive progress to better serve the economic activity of the time. In addition to using the rounded river and creek stones for numerous centuries, it became common, particularly in England, to utilize what is known as a “pitched” surface road. The pitched road was made of flat stones standing on edge, with a relatively flat narrow surface on top, providing a durable surface to travel. At this point the stones in use were set in the road without much manipulation of the shape of the stones. The stones were used as they were found, in their natural form, as the road builder arranged them into a better roadway, by using what was available in their location. The naturally occurring cobblestone from the waterways and the pitched cobblestone roads eventually gave way during the 1800’s to quarried granite setts, also known as Belgian block. This happened in part as a result of progress in man’s ability to productively manipulate stone in large quantities, and the ever present need for improved road surfaces and durability. The quarriers and stonecutters of the 19th century started making a natural stone paver that was more consistent in size allowing for them to be laid in rows and regular patterns with a more even surface and exceptional durability. Today’s cobbles are interchangeably called Belgian block, setts, and of course cobblestone. Regardless of the words you choose to call them, they are the most beautiful, longest lasting choice of pavement available. 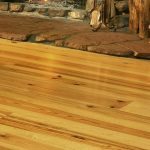 Realgoodsco.com is the site to visit for any questions on your Cobblestone projects.